If you are serious about tools but don’t need a full blown commercial unit, check out our 2700 PSI Pressure Washer – The Prosumer. The extended frame is a true example of form following function. 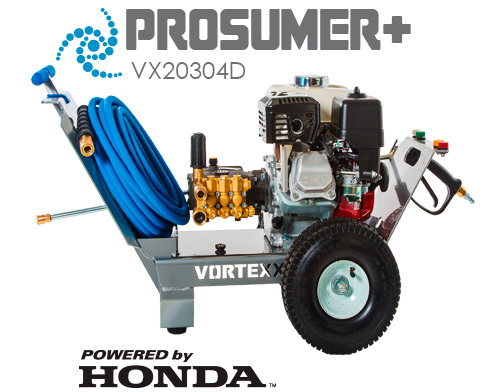 The Prosumer’s upgraded axial pump generates 3 gallons per minute of flow and 2700 PSI and with the professional grade GX 200 Honda Engine it is bound to outlast anyone’s to do list.